Growing up, I always looked forward to this time of year. The nicer weather, brighter days, and evidence of life growing in the garden were great, but what I really looked forward to was Easter. 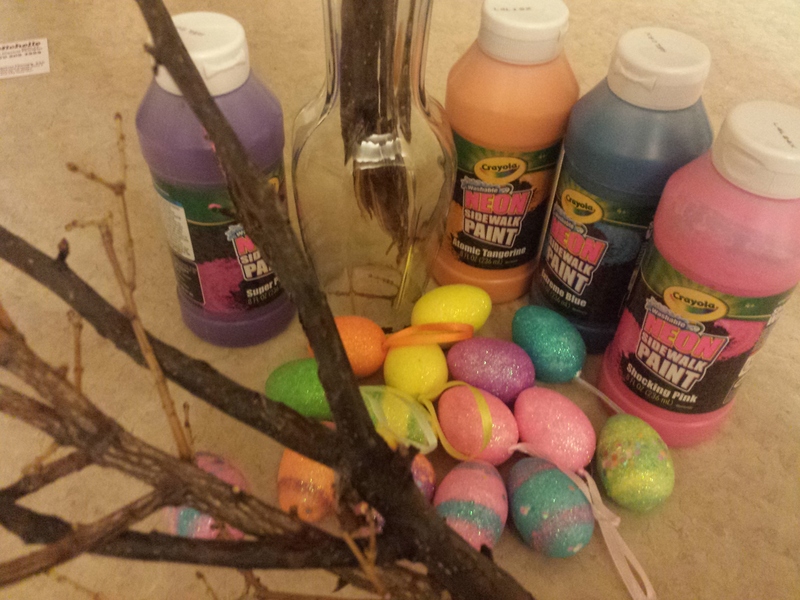 In my family, Easter has always been a bigger deal than even Christmas. My mom would start getting into the Easter spirit on December 26th. I remember pulling all of her decorations out and lovingly placing them in their assigned spots. 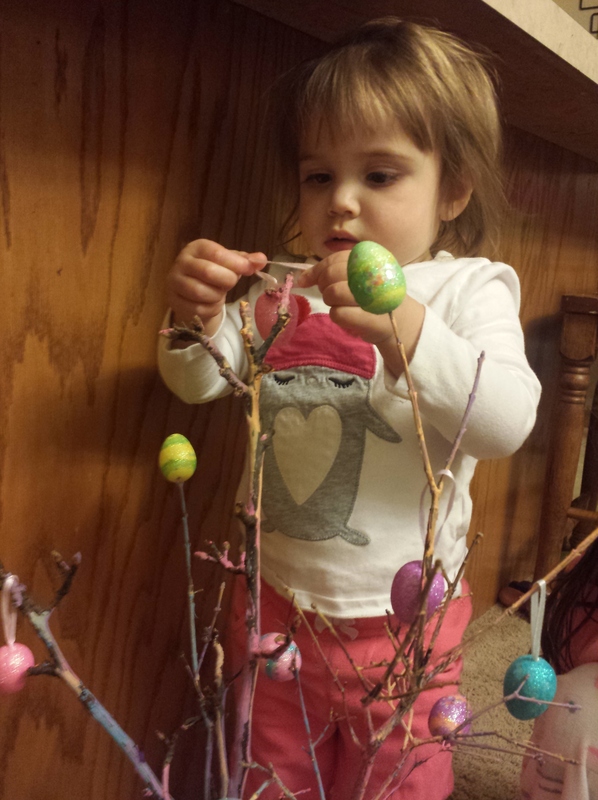 One of my favorites was her Easter tree. 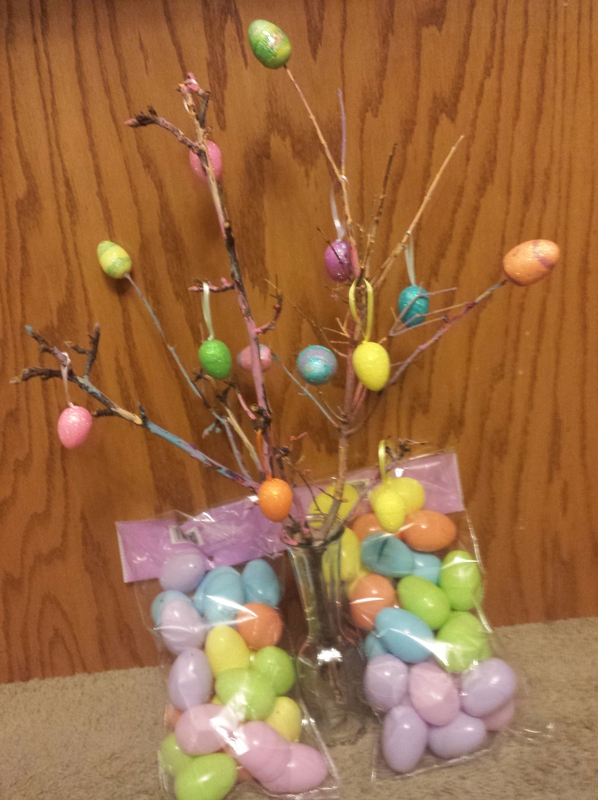 White branches with fun little egg ornaments and dainty little bunnies. We decided to take a spin on it this year and make our own. We started by gathering our supplies. 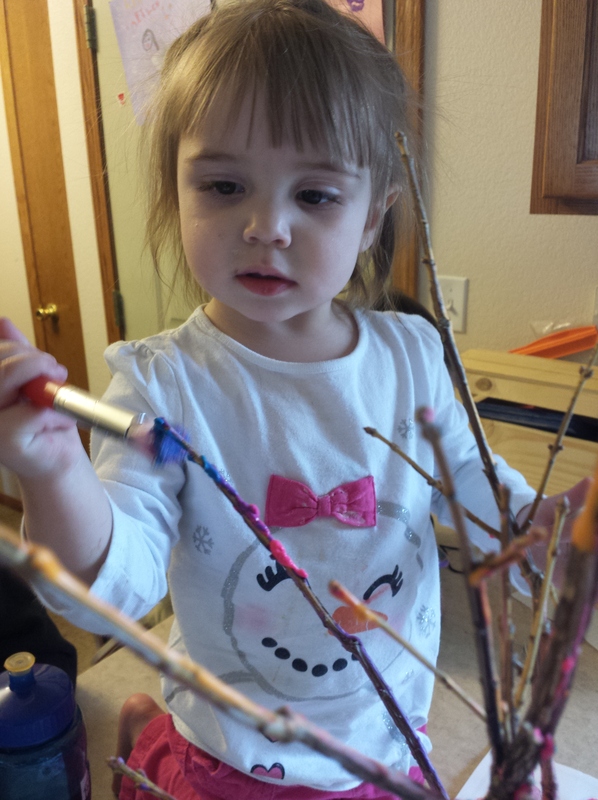 We got right to work painting the branches of our trees. We placed them in vases to help hold them steady and make painting easier. 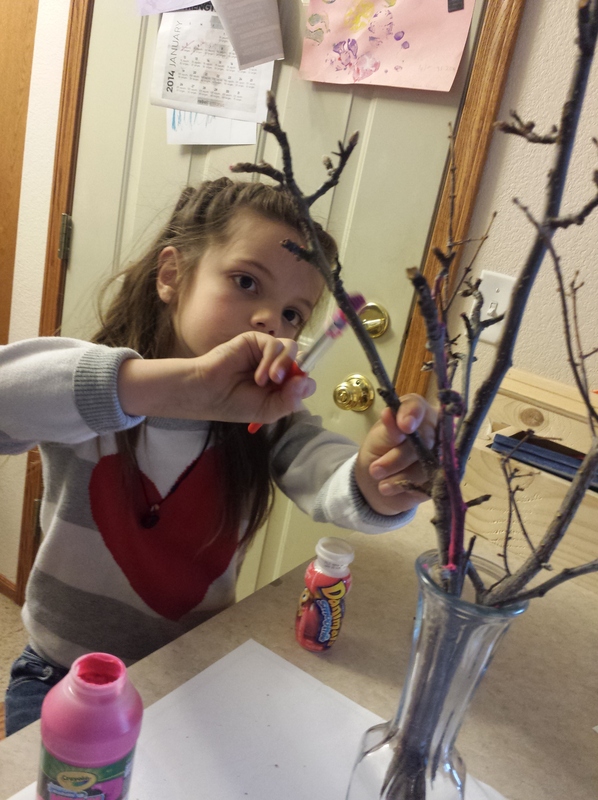 If you’re using regular chalk, you’ll need to get the ends of the chalk wet and then gently rub it on the branches. After the girls were done painting we left the project to dry for about half an hour. 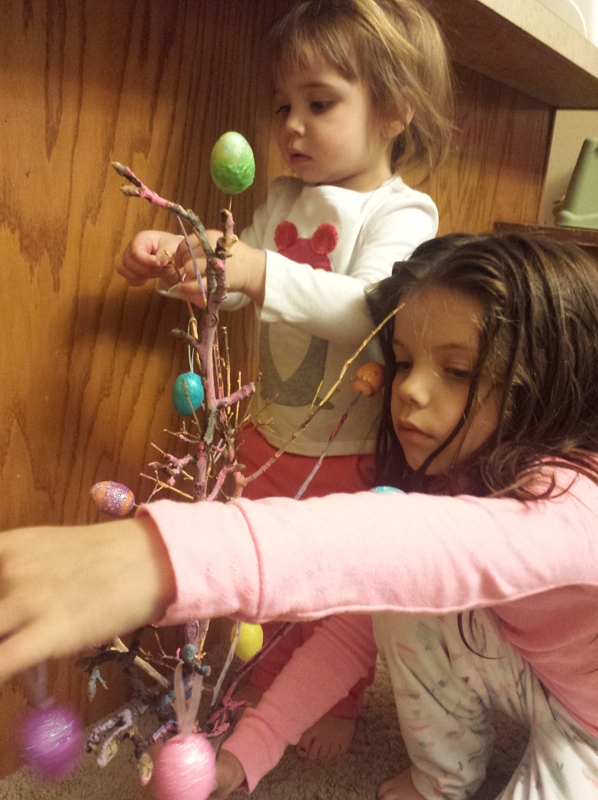 Once they were fully dry, we hung our egg ornaments.